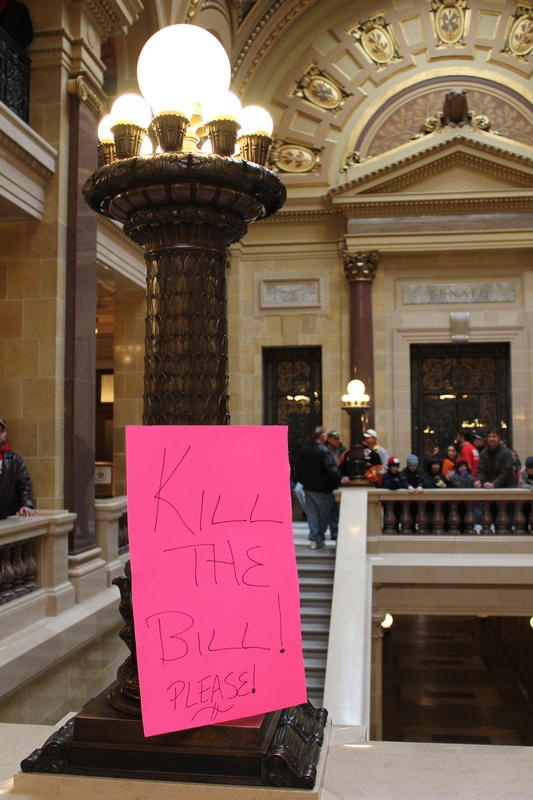 Wisconsin Uprising Archive | Kill the Bill! Please! Leaving no space empty, a sign saying "Kill the Bill! Please!" is put next to a lamp by the stairs in the inside of the Capitol. Hastings, Jamey. , “Kill the Bill! Please!,” Wisconsin Uprising Archive, accessed April 22, 2019, http://wisconsinuprisingarchive.org/items/show/165.